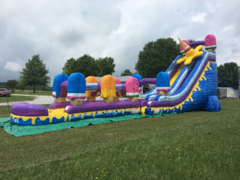 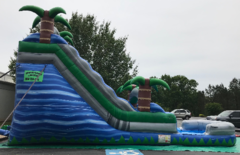 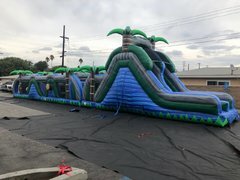 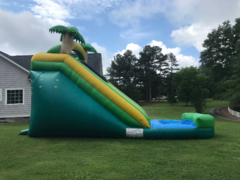 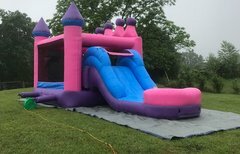 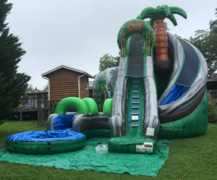 Treat your guests to a refreshing and exciting party attraction with a water slide rental from Carolina Bounce and Adventure Times, LLC! 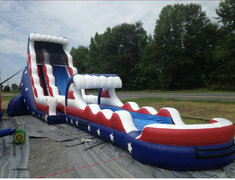 Our selection of inflatable slides includes a variety of fun themes and dynamic color schemes. 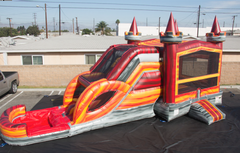 Each unit features a jaw-dropping water slide that funnels guests into an inflatable pool! 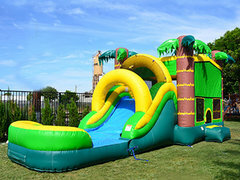 Other features include steps that allows guests to easily climb to the top of the unit, mesh windows that prevents kids from jumping off, and lead-free vinyl that is safe for guests of all ages. 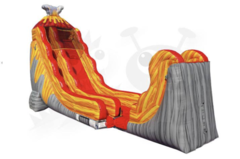 Go ahead and browse our selection of exciting water slides.